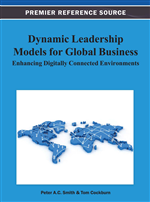 Based on a wealth of experience in leadership roles and development, and enhanced by a broad literature review, the authors present an enabling framework for individuals at all levels of an organization independent of gender, industry, discipline, and leadership style, that will enhance their ability to carry out their leadership roles, particularly in digitally connected environments where dynamic complexity is typically most challenging. Leadership is treated as emergent, being co-developed with the context in which the leadership is taking place. To this end the authors detail, and relate to current theory and practice, a four step incremental leadership process cycle together with a personal assessment instrument. A case study is provided that illustrates application of the approach. Chapter one posed the question “How should we define leadership for the 21st century?” Like everything else in these times, leadership falls prey to complexity, and a plethora of leadership theories and models from the literature were identified in chapter one based on attempts to answer that question. This is all very fine where there is no intention to take constructive action, but it poses a challenging problem for anyone attempting to put leadership into productive practice – chapter two takes up this challenge. To fully equip global leaders nowadays there is s need to build an enabling framework across all levels of the organization. We believe that a bold approach is necessary, and Dynamic Leadership Models for Global Business: Enhancing Digitally Connected Environments is the result. Like that great leader Alexander in ancient times, it’s time to unravel the Gordian Knot (2011), and we propose in this chapter a foundation for understanding and practicing leadership based on proven ways to deal with complexity. This foundation is particularly relevant to dynamic leadership in digitally connected environments where such leadership is critical to addressing the complexity typical of such situations. Please note that the foundation is also independent of whether one leads in engineering, IT, construction, banking, or a myriad of other disciplines, and is gender neutral. The close links between leadership and learning were established long ago by scholars in organizational behavior (Schein, 1992; Argyris, 1993), and the links continue to be emphasized world-wide today. Grazier (2005, p. 360) in the USA believes in the connection between leading and learning, maintaining that “leaders […] have to have the insight to admit they don't know everything but are willing to learn. They must be driven to do better tomorrow.” Gopalan et al. (2006, p. 130) link the performance of Indian leaders with receptivity toward learning, and these authors state that “much depends on one's willingness to learn and adapt”. In Europe, Harris (2001, p. 336) points out that “those who would desire to exercise greater European leadership within global enterprise are advised here to commit themselves to continuous learning and adaptation”. Perrin et al. (2012) confirm the importance of reflection to the success of business leaders across all continents.